Saint Albert the Great Council and Court #306 were established on April 15, 1989. The Junior Daughter Court #306 was established in May 1996. All three units are domiciled at Saint Albert the Great Catholic Church located in Compton, California. The knights and ladies of Unit #306 hold joint activities and fundraisers including the Annual Christmas Brunch which is provided free to all parishioners of Saint Albert the Great and the annual Lenten season fish fry dinner sale. Click here for the history of St. Albert the Great Court #306. The Grand Knight of Council #306 is Brother Paul Berzat. 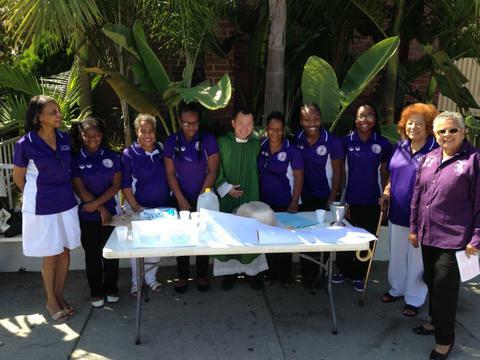 St. Albert the Great Ladies and Juniors on 2013 Recruitment Sunday. Click here to access the KPC, Inc. National website or Log in for the Member Management System. Click here to link to the Saint Peter Claver Foundation. 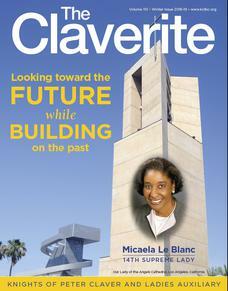 Click to access past issues of the Claverite.